Our first regatta was held in October 1843 with informal racing also being held on 1st August 1846. 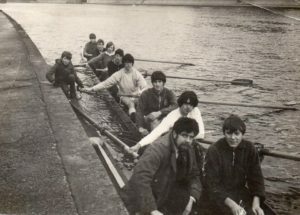 The first official regatta was held 30th September 1865 for “Racing and Swimming” with the course being as before from Marygate Landing to a boat moored below Ouse bridge which was rounded by the boats and swimmers and then raced back to the finish. 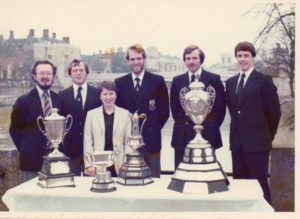 in 1900, the White Rose and the York Amateur Rowing Clubs joined forces and moved to the present site, using the building at the time for changing. A new timber boathouse was built in between the existing building and the river. Between the existing building and the new boathouse, a small building was created to house the bar, one shower (cold water only!) and room to store a few crates and a barrel of beer for regattas!